iPod speakers allow users to listen to their iPod without having to solely use the ear buds. But, what are the best speakers for your iPod? Well, here are some things to look for when purchasing iPod speakers and suggestions on brands that may work for you. your music around the house. Generally, these types of speakers run about $100 to nearly $600, and they typically include audio jacks, A/C power adapter and possibly a remote control. The Altec Lansing inMotion Classic is a good home iPod speaker system, and it’s not too expensive at around $150 online. 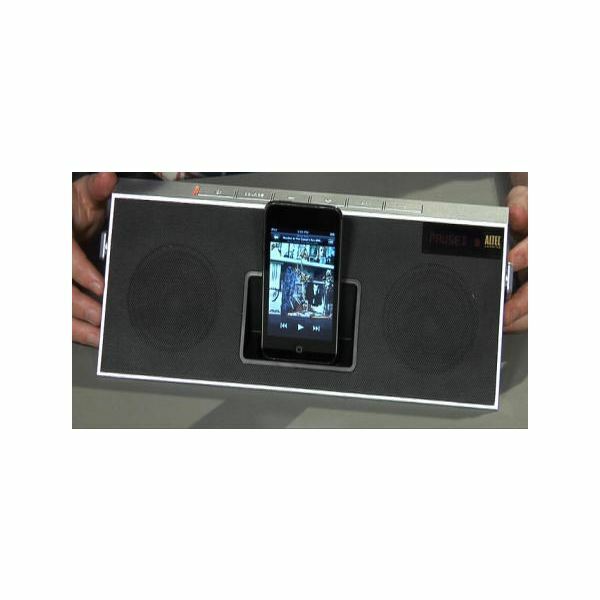 It comes with a radio if you want to switch off your iPod, and its speakers are loud enough to carry around any room. It also comes with its own remote control. While this device does have a lot of power for a little price, you can’t hook up your Bluetooth to this, which could be limiting for some people. Other manufacturers to consider include Bose and Bowers & Wilkins. iPod alarm clocks combine the features of an iPod dock with the functionality of an alarm clock. Often, these have an AM/FM radio as well. You should look for iPod alarm clocks that have remote controls, dimmers, battery backups and dual alarms. These will wake you up with a traditional alarm or by music from your iPod. These are usually only $100 to $300 online. 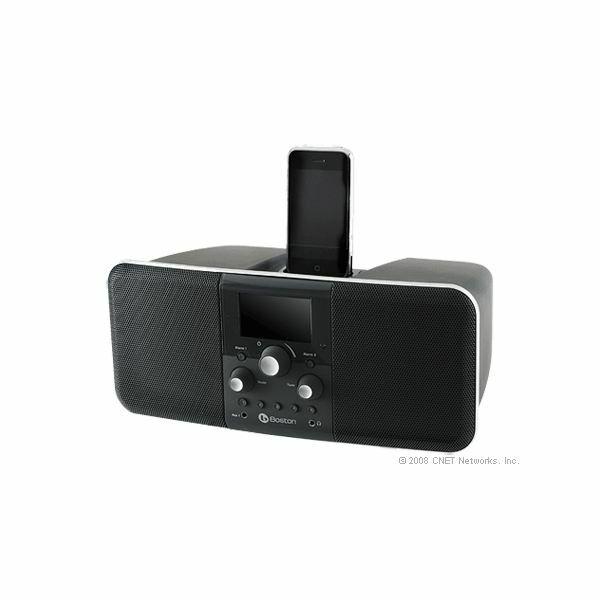 The Boston Acoustics Duo-i Plus is a good iPod alarm clock choice, and it generally runs about $200 online. It comes with a dual alarm clock that can play either an iPod or iPhone. It has a touch, snooze bar, which makes it quite easy to hit that snooze button on mornings when you just can’t seem to get up. This alarm clock is easy to use and program. The only downside is that it’s a little large for many nightstands. Other brands to consider include iHome and JBL. 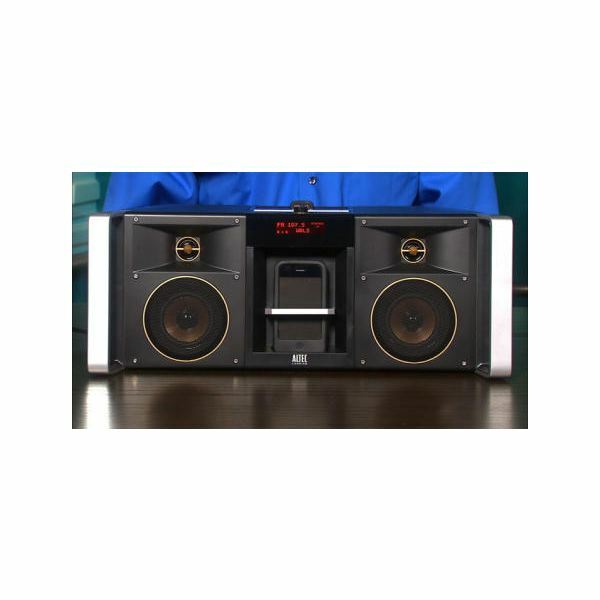 The Altec Lansing Mix iMT800 looks like a typical boom box, except that it has an iPod dock in the middle. For around $200 online, it’s pretty affordable and has some interesting features, including a remote that clips to your belt. For its size, it sounds great and comes with FM radio. The only downside to this one is that it doesn’t have rechargeable batteries. Another brand to consider includes Logitech.